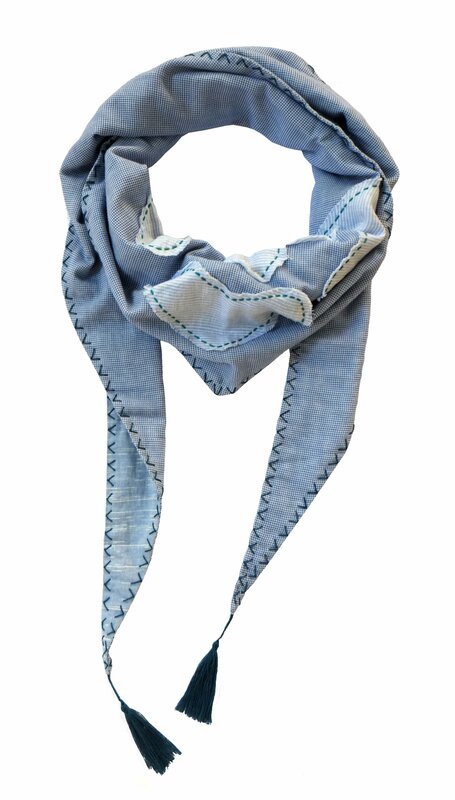 This beautiful scarf is refined in design, with nuanced hand-stitch detail. 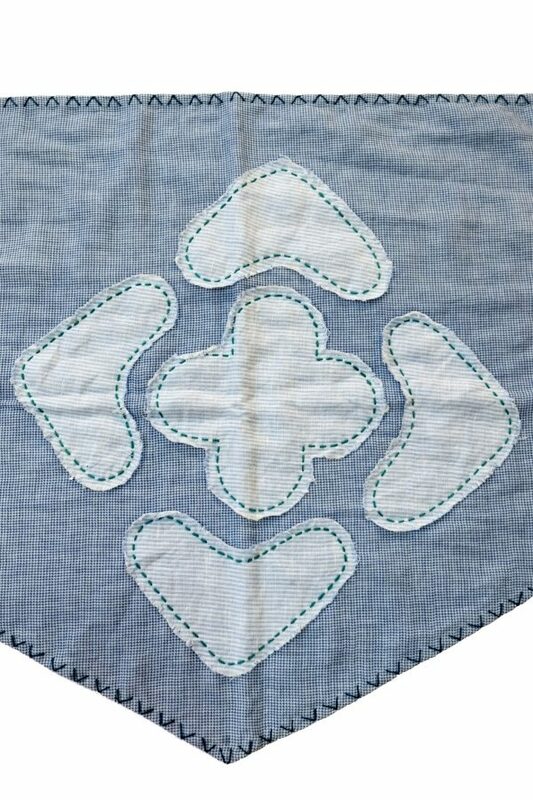 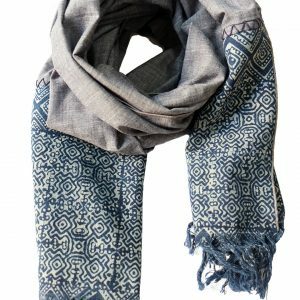 The scarf features a triangle shape with a central H’mong motif appliquéd in tonal patterned cotton. 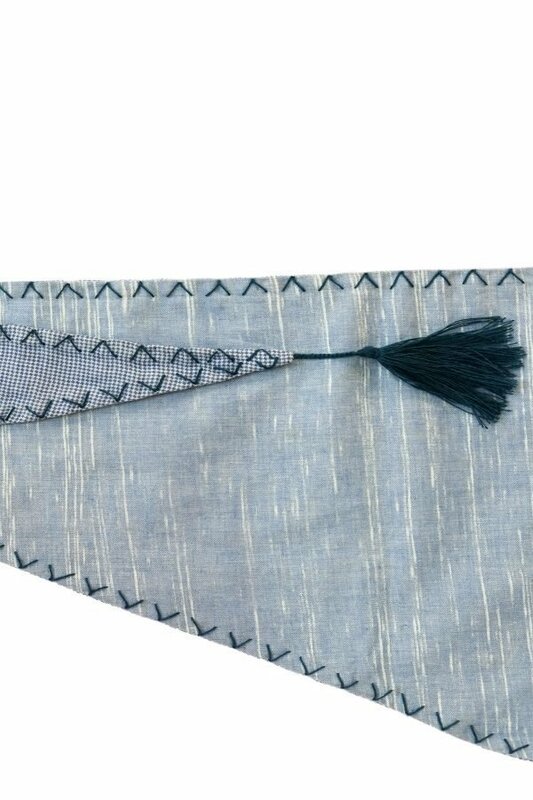 All the edges are highlighted with a hand-stitched cross edge border in tonal coloured thread. 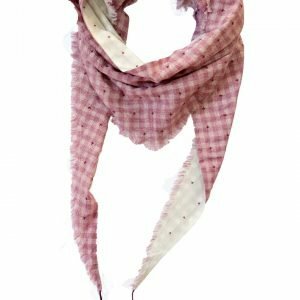 The scarf is made of a double layer of soft cotton in complementary tones and patterns and finished with a hand-made cotton tassel on both ends. 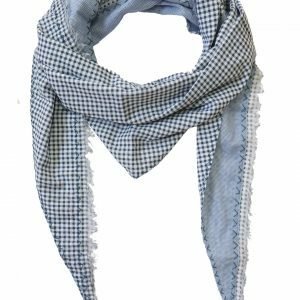 A cool scarf with a refined finish, it is perfect for adding a touch of individuality to any outfit. 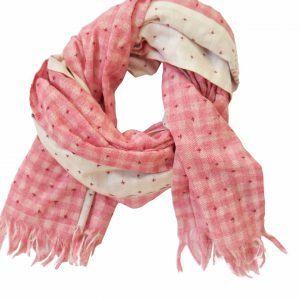 The scarf measures 200 cm in length and 45 cm at its widest point.